Homemade Fruit Snacks - 20 Recipes + Free E-Book! Does it have to be beef Gelatin? would unflavored gelatin work just as well? The gelatin I link to doesn’t have any flavor if that’s what you’re wondering. It’s the same as regular unflavored gelatin, but it comes from organic grass-fed cows. I tried the fresh fruit gummies today and they came out great. I used a combo of berries. Thanks for the recipe. I only had half the amount of beef gelatin available, so I halved the recipe, and it set in an hour in a glass dish. I am looking forward to trying your other gummy recipes! I’m vegetarian & don’t use gelatin, can i make the fruit gums with Agar? Great job creating these awesome kids and adult friendly healthy snacks!!! I love your ideas and can’t wait to begin making batches of these. I just made my first 2 batches of these, a calm and a fruit juice one. I had some issues with frothing after the last mix with the hot liquid and sweetener. Any suggestions? Could you please tell me where to buy beef gelatine, and also raw honey, and natural calm for the magnesium gummies. I will have to look into the Vital Proteins. I tried the Knox-brand gelatin and nearly gagged on the smell alone. Thank you for the head’s up on it. Thank you for all these recipes! I LOVE making gummies for my 2yr old son knowing I’m not filling him full of addictive sugar & chemicals. I would love to do as you say & make them once or twice a month but how long do they really stay good for in the fridge? Hi – love the gummie recipes – just a heads up for anyone else. I made 2 different batches with Great Lakes brand of gelatin and they never did firm up. I have made gummies before with Great Lakes but used about double the amount. Will retry with 6 tablespoons of gelatin for the Strawberry Lemonade. 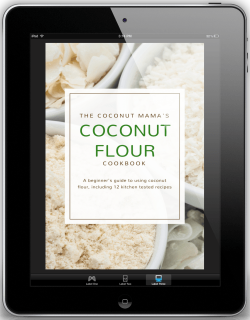 how do i get the coconut recipe ebook, it just keeps putting me back to registration. 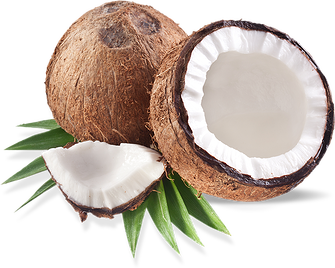 Thanks Coconut Mama!!!! Your recipes have always been just amazing, and all these recipes for gummies look incredible as well! You make being paleo that much easier. Is the consistency like jello, or like an actual fruit gummy bear? I agree with Tonya – I would love to eat more real food and eat something like this – however, I don’t have time to make everything. Someone needs to start making and selling real food to replace all the processed stuff on our super market shelves. if anyone is making these – I would love to pick some – and pay someone else to make them. Since I would have no clue how to do it…nor do I think I could spend $100 getting stuff I dont use or know how to use just to see if Angel will eat them. So if you know anyone who is willing to figure out a price for me – my daughter loves strawberry flavors n gummy s.
I REALLY WISH healthy stuff was more cost effective…but its just not. We do a local co op that helps some…but Idk how you afford all the things you list. I just made the magnesium gummies and they were super easy and yummy! I’m just starting to take magnesium. How many gummies should I start taking? Thanks! I was wondering the same thing. I know that a typical serving of Natural Calm is 2 tsp though I only take 1 tsp a day at the moment. I’m assuming 1/6-1/3 of the recipe can be eaten in one day? Beautiful website and wonderful recipes! Everything looks so perfect and delicious. Thank you so much! I love this giveaway AND I love love LOVE all the fruit snack recipes. Thank you for all the ideas. We are huge fruit snack fans here so I’m excited to whoop some of these up. Thank you for sharing your expertise and creative and yummy recipes. Your a blog I look forward to reading daily. This would be an awesome giveaway to win. Thanks again. The use of gelatine is so wrong!! On so many levels! It is a scientific fact that using any animal products actually depletes the body’s natural nutrition levels! There are far may superior plant based nutrients that are absorbed far more effectively than animal products! It is also cruel and unnecessary to be consuming animal products! However there are more people who are turning their back on meat and animal by-products! Amanda, Please can you cite any published sources for your comments, so we may judge for ourselves? In particular, in what recognised scientific journals have you read evidence that using animal products depletes nutritional levels in humans? Just wondering where you got this idea, as I have *never* seen any such statements or conclusions from any scientific study, certainly not stated as “scientific fact”. Can powder fiber be added to the fruit snacks and if so at what step in the recipe would you add the fiber? Would one fiber brand work better than another? I need your 3 ingredient fudge recipe that also has the option of using Essential Peppermint Oil with it. Thank you….I have tried to pull it up again but have not been able to do so! I have a problem getting the Vital Proteins to completely dissolve when making the fruit snacks. Any ideas on how to mix it completely? In the Strawberry Lemonade Gummies, would you reccomend fresh or frozen strawberries? Love the recipes you have provided here, can you advise a comparable gelatin to use for these treats if Vital Protein Gelatin can’t be used. How do I get these fruit recipes? I cannot figure it out how to see these recipes? On the pineapple, when you say “cooked,” does that mean canned is okay? Or do you actually need to warm it in a pan yourself? Thanks! Quite interesting recipes; and the pictures are helpful.